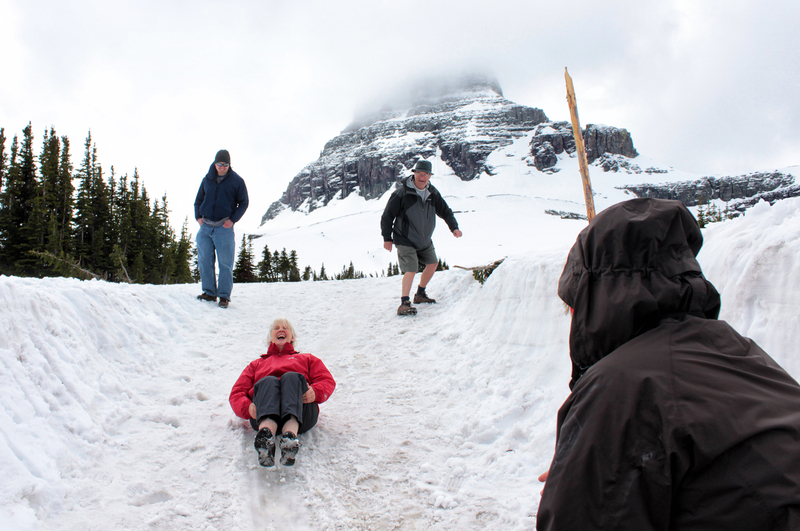 Pauline Morey, center, slides down a snowfield at Logan Pass on the first day all 50 miles of the Going-to-the-Sun Road were open. Morey was traveling from Ireland with a group of friends. Justin Franz | Flathead Beacon.